European Federations of Journalists (EFJ) unanimously decided to protest the shutting down of Kurdish television networks in their annual General Assembly meeting. 22 international organizations and media organs called for the release of French photographer Mathias Depardon, who was arrested in Turkey. Journalists Society of Turkey (Türkiye Gazeteciler Cemiyeti - TGC) stated that the number of imprisoned journalists has risen to 159 by the end of April in a report titled “Press Freedom and Freedom of Expression”. A press conference was held in the European Parliament on Eutelsat’s decision to suspend the broadcast of three Kurdish TV channels. The campaign started after Eutelsat attempted to shut down Ronahî TV, Stêrk TV and News Channel was taken to the European Parliament by the workers of all three networks. Free Journalists Initiative announced that the number of journalists jailed in Turkey rose to 171 with the arrest of Cumhuriyet newspaper’s Chief Editor Oğuz Güven. Journalist-author Murat Çelikkan, who joined the Editor-in-Chief on Watch campaign in solidarity with the Özgür Gündem newspaper shut down by the AKP government, has been given a jail sentence of 18 months. 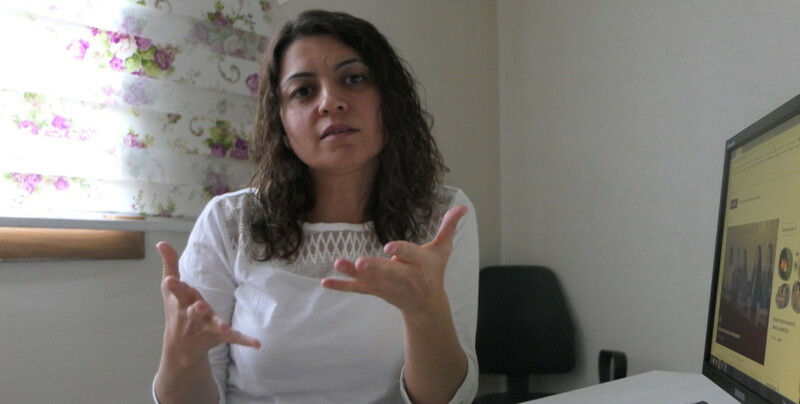 Journalist Cihan Özgür, who the Turkish state wants KDP to repatriate to Turkey, was forced to leave Kurdistan due to the threat of repatriation. Access to the website of Kurdish daily Rojeva Medya has been banned. Protests are increasing in Europe against the AKP and EutelSat that attempt to shut down the Kurdish television networks. Representatives of Kurdish TV networks Stêrk TV, Ronahî TV and News Channel, which French satellite company Eutelsat seeks to shut down on Turkey's demand, met with the director of Belgian Journalists Union. Yeni Özgür Politika newspaper celebrated the 11th year anniversary of its foundation and vowed to enhance struggle and solidarity against the Turkish state’s pressures on the free press. “KDP detained journalist Ibrahim Abbas because of his ideas"
The wife and sister of journalist Ibrahim Abbas who was taken into custody by KDP asayish in a house raid the day before stated that Abbas was detained only because of his ideas. 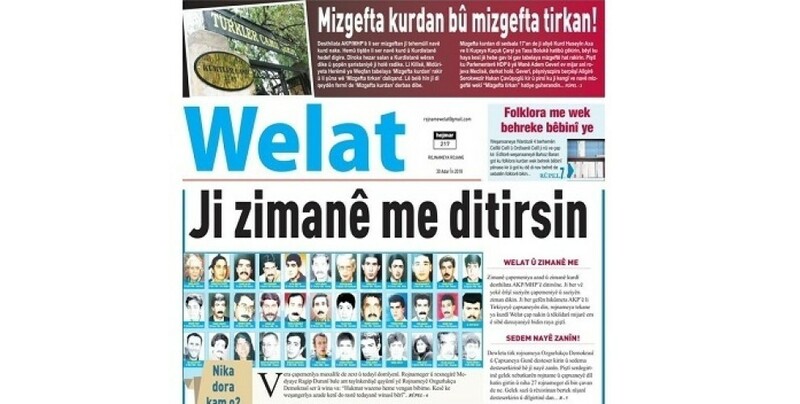 ​​​​​​​News Channel, one of the Kurdish televisions Eutelsat seeks to suspend the broadcast of on Turkey's demand, stressed that a stronger legal conviction and stronger political reaction is needed to deter those that jeopardise the freedom of press. Journalist İbrahim Abbas who criticised the Barzani family in a post on social media was taken into custody in a house raid. A session was held in the Flemish Parliament of Belgium on Eutelsat’s efforts on AKP’s demand to shut down Kurdish televisions. The message from the session was that the pressure in question is unacceptable. Authorities at Kurdish television networks that could be shut down at Turkey's request said: “They want to shut us down because we report on the oppression and massacres geared towards the Kurdish people." Targeting Kurdish television networks in tandem with Eutelsat, RTÜK has issued a scandalous decree. Eutelsat has taken action to suspend the broadcasting of Kurdish television channels Ronahi TV, NewsChannel and Sterk TV on Turkey's demand. Another access ban was issued for the website of newspaper Özgürlükçü Demokrasi, demokrasi16.com. Journalist Gabriele Del Grande who was taken into custody in Hatay province on April 9 has been released and deported today.